Your headphones are your connection to your musical library when you’re on the go. Why not make them part of your look? I mean, why be plain when you can be magical? The Elf Ear Headphones are the elf ear alternative to earbuds. These earbuds connect via 3.5mm jack and generally function as standard sound devices. Their shape is a bit different. Instead of just being a set of discreet silicone topped nubs you slide into your ear, these bad boys are topped with pointy elf ears that work with your normal human ears to give you a magical makeover. Obviously, these work better if your skin, for one, matches the color of earbuds, and for two, if you can hide the wires that pipe in the music. These would be much better if they were Bluetooth but you can’t have everything. It’ll probably take the casual observer a few moments to realize that you’re listening to music and are not, in fact, a magical woodland creature on the subway. 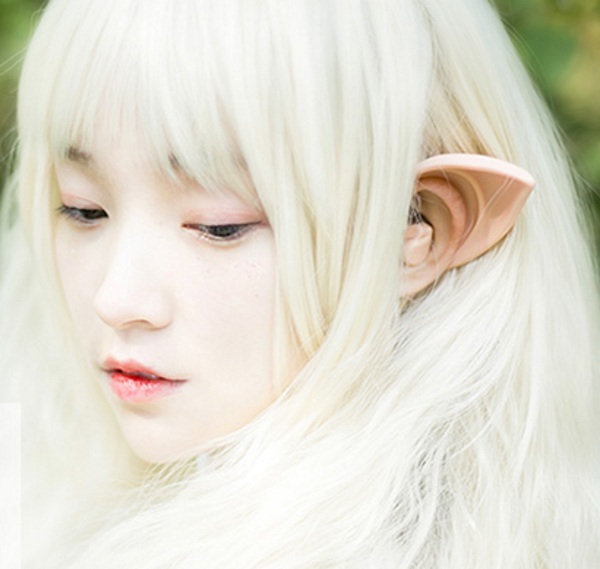 Elf Ear Headphones are ¥99. Is there a site to purchase these on? You can buy them on the site, but you’ll have to translate the page first. A website using English (or any European language) would be useful, please – my Japanese is too rusty to navigate the sale…. I used Google Chrome so it translated for me. There are English language websites selling these, but the ones I’ve seen have had the headphones for twice as much. Try searching for the image, hope that helps! There is. If you click the red words Elf Ear Headphones, it takes you to the site, but it is all Asian, so unless you have a browser that translates, it will be hard navigating. The good news is before shipping, they are only $14.40 USD. I used Google Chrome which has built in translation. I believe there are add ons for Firefox to translate as well. Not sure about IE though. Most people who do not understand or read Chinese use TaoBao ordering agents (there’s a bunch of them if you google for them) which makes it much easier to navigate and buy what you want (although there could be a small fee from the agent site). I couldn’t find the specific costs but it does say they have international shipping available. You can order them off of Taobao, but it’s sort of like the Chinese Ebay and a little hard to navigate if you dont read and understand Chinese, even if you turn on your browser’s translator. The best way to order things from Taobao is by finding a Taobao agent which is basically like a middle man to order through. You can just google “Taobao agent” and see if there is one you like. You will get information from shipping and prices much more clearly with an agent as well. Are they going to make elf ear phones for black people? Probably not but if you could probably alter them to match your skin tone (or mine for that matter!). If you can find out what type of material they are made from, you can probably find paint that is safe for them. I guess the Chinese forgot to concider their are other races besides their own to make ears for! Their worldly! I ordered the bluetooth edition of these in April 2017 on AliExpress / Alibaba for only 12 $ with fred delivery in 3 weeks world around and no VAT or other import costs. it is already over 100s of pictures on Instagram with persons who are using them included me. The bluetooth edition is also better than the wired plug versions. Better sound, better quality, fast recharging for 6 hours of using and woman voice on both english and chinese built in. Control everything with using the smart buttons on the remote control and it lights in different colors. The sound is really fantastic with much off bass and treble. The earbuds sitting greatly in nearly all persons ears and the ear molds holding the noices around you out. 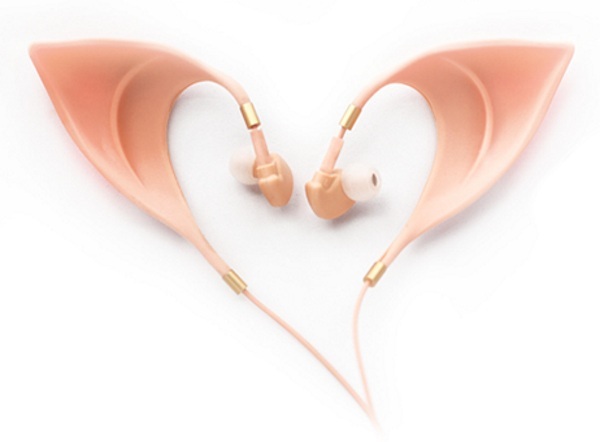 The elf earbuds are so much better than the earbuds delivered with smart phones and so on. It is a fact that these ear buds are also so much cooler than seeing people using Apple Earpods, Airpods or many other cheap earphones.